Located near the southern end of Tasmania, Eaglehawk Neck is a thin stretch of land which links two Islands and is remarkable for two reasons. 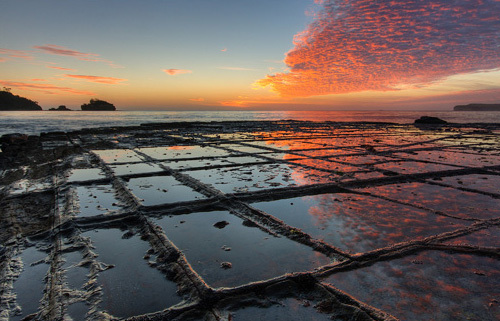 It is the World’s finest (surface-level) example of a Tessellated Pavement and is also credited as the place where the notorious “Dog Line” was first invented. The indented slab formation is a geological feature caused by the erosion of fractures in the rock. The same area was also once a crossing place for escaped criminals that had been deported from Britain to Tasmania. To stop escaped convicts crossing this 200 metre wide strip of land the local military commander deployed nine ferocious dogs – each chained so that that they could nearly reach each other but couldn’t actually fight. Convicts that tried to cross the neck would find himself within range of two of these half-starved monsters. Only three people ever made it past the dogs that were described as the most ugly and evil-tempered found anywhere in the world. 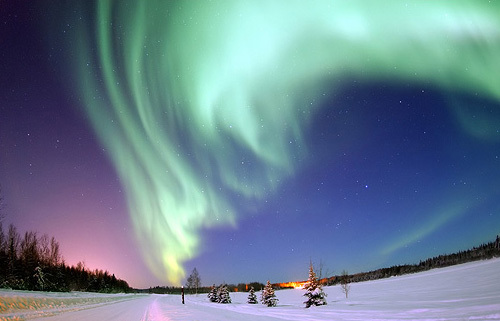 You will find Bear Lake in the borough of Fairbanks North Star in the American state of Alaska. While the Lake itself is beautiful it is also the place from where a person can often see the incredible celestial display known as the Northern Lights or the Aurora Borealis. Literally translated the name means – Dawn Winds. This phenomenon has been recorded for thousands of years (Pliny). Legend is that the lights were caused by Aurora – the Roman Goddess of the Dawn – who flew across the night sky to foretell the rising of the Sun. Many legends refer to the dance of the lights and Vikings are said to have believed that they were Valkyrie taking the souls of dead warriors to Valhalla. Part of the Wai-O-Tapu geothermal complex located near Rotorua on the North Island of New Zealand, Champagne Pool is one of the most striking natural wonders. The brilliant orange ledge is actually formed from arsenic deposits and the gasses that rise and sparkle like champagne are carbon dioxide released from the water vents. Translated from the Maori language, Wai-O-Tapu means “Sacred or Colourful Waters”. 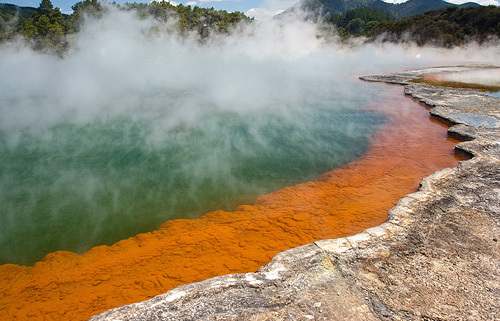 The entire region of Rotorua is intensely active and Champagne Pool is just one of the hundreds of strange geological features that have been formed by the action of water, steam and subterranean volcanic energy. Translated, Rotorua means The Second Great Lake of Kahumatamomoe who was the uncle of the Maori lord Inhenga who discovered the lands. This is yet another strange geological feature discovered by users of Google Earth. Hunter who interviewed local residents who, up until that time were unaware of its existence. It’s probably just a strange geological feature caused by erosion but who knows for sure. A competition was held to name the face and Cypress County Council selected “Badlands Guardian”. 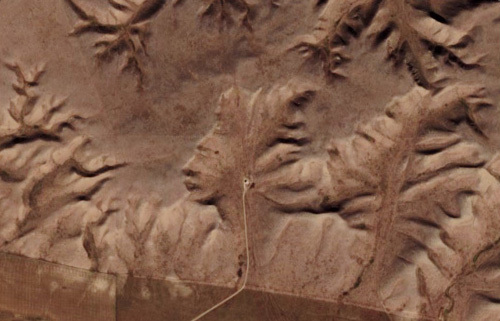 From the ground the Badlands Guardian appears unremarkable and is merely a collection of small grass covered ridges and valleys but from the air its uncanny resemblance to a either a Native American Medicine Man or an Egyptian Pharaoh . At one time in pre-history this part of the Sahara Desert was deep underwater and deposits of chalk built up over the millennia. 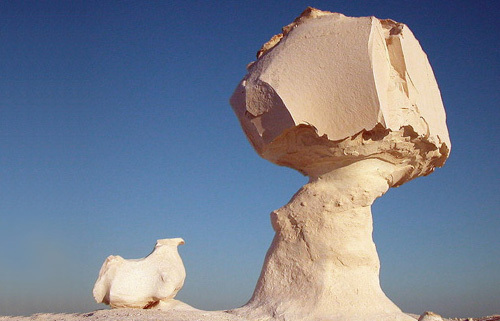 Today, this region near the oasis of Farafra, is above sea level and the wind has eroded the ancient lime and chalk deposits to create a bizarre and beautiful landscape in a truly White Desert. (Sahara el Beyda) The actual region is 45 kilometers north of Farafra and has become a popular tourist destination that is also close to the Black Desert and the Crystal Mountain. After years of petitioning by leading figures in the world of conservation and archaeology it has now been identified as a protected natural reserve but it appears that this has barely limited the ecological damage that careless tourists are causing to the area. Many irresponsible tourists light fires against these ancient rocks causing them to fracture and at certain times of the year after key religious festivals the area is littered with refuseLike so many natural wonders that exist for us to see it may be that all our children will have is the digital images our cameras take today. At 4,085 square miles in size Salar de Uyuni is the biggest “salt flat” in the world. 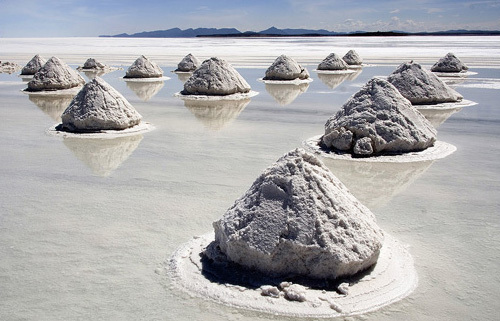 What is even more remarkable is that it is over 3,500 metres above sea level and is the world’s most important future source of Lithium containing as much as 70% of all known reserves. It is also incredibly flat and people have been known to experience a form of vertigo and visual disorientation when looking across this vast and desolate vista. It covers a lake said to be up to twenty metres deep and was once part of a vast lake some 40,000 years ago before the effects of a series of Ice ages changed the topography. The Aymara, the indigenous people of the Western Andes have a legend that the Salar (Salt Flat) was created when the Giantess Tunupa and her baby were abandoned and cried so that her tears mixed with breast-milk creating the lake. As such, there is a local movement to have the area renamed Salar de Tunupa. Located in the Hawaii Volcanoes National Park is the Pu’u ‘O’o geo-magmatic vent. 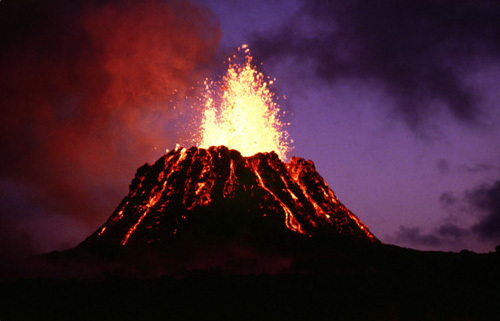 At the time of writing the Pu’u ‘O’o eruption has been taking place sporadically for over a quarter of a century. During this time it has produced more than 3 cubic kilometers of lava that have re-buried 117 square kilometers of the islands surface. Some of the lava flows from this vent have managed to travel 12 kilometres before plunging into the sea. This is one of Hawaii’s most energetic volcanoes and has provided scientist with some of the most important insights into the relatively new science of volcanology. Pu’u ‘O’o has destroyed hundreds of buildings including homes and often impacts local utilities and roads. Eruptions at the summit and along the rift zones can be viewed online through webcams located within the caldera. Information about Kilauea’s activity is regularly updated on the USGS website. 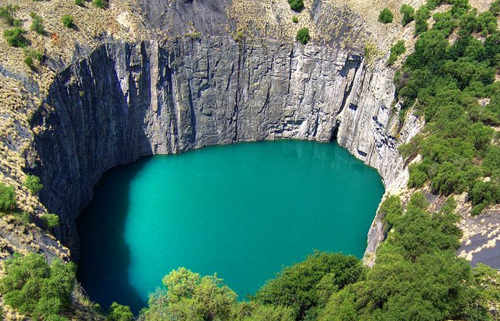 Created by 19th century diamond miners, it is still widely believed to be the biggest hand-excavated hole in the world as it also once had a hill above it. The first diamonds were discovered in 1871 on the De Beers farm near the town that is today called Kimberley. Within months thousands of prospectors had arrived to unearth the gems. Over the next 43 years more than 50,000 people would discover nearly 3,000 kilograms of diamonds. In total, it is estimated that using nothing more than picks, shovels and miners buckets they displaced more than 22 million tons of earth and rock. At its deepest point it was nearly a quarter of a kilometer in below ground level. After mining became too dangerous and unproductive in 1914 the Big Hole was partially filled in with rock from other excavations and water has since accumulated to a depth of 40 metres. Located in the Northern Territory of Australia, Uluru is a massive outcrop of eroded red sandstone (inselberg) that towers above the surrounding region. The name derives from the local Pitjantjatjara and Yankunytjatjara peoples, the Anangu, and is a sacred place for both groups. There are many myths and legends surrounding the origin and purpose of the formation. One source claims that it is the physical embodiment of the Turtle Spirit. 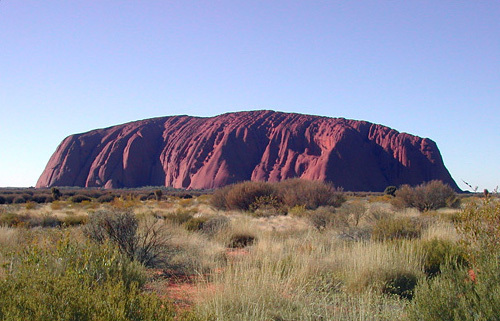 It is reputed to be very bad luck to take away any stone or part of Uluru. There are apparently many reported cases of people who have gone to great lengths to return items that they once took. Geologically Uluru is many millions of years old and has numerous caves and small fountains. It is estimated that the area has been inhabited for more than 10,000 years and examples of ancient rock paintings can still be seen in some of the caves. The real name of this place is Lake Nyos but the locals now call it “Killer Lake” or “The Lake that Killed” – a well deserved name. Located in a crater on the flanks of an inactive volcano the extremely deep waters lie above a pool of magma that slowly leaks carbon dioxide. 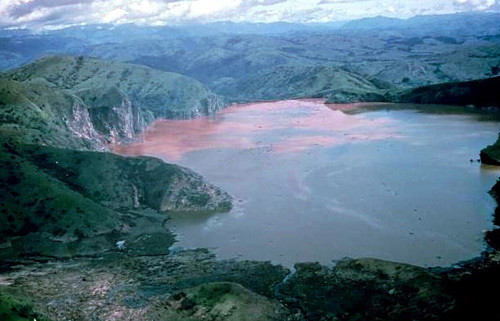 It’s part of the Oku volcanic configuration and is located in the north-west region of Cameroon. In 1986 a vast bubble of carbon dioxide mixed with sulfur and hydrogen spewed to the surface. In total, 1.6 million tonnes of this lethal gas spread over a huge area – reaching 23 kilometers away from the source. Hugging the ground this deadly and near undetectable concoction swept over villages and small towns. Approximately 1,700 people and 3,500 farm animals were killed within two hours. Survivors experienced long-term side effects including lesions, soft-tissue burns and respiratory illnesses.